While wasting our time before our dinner the other night, we ended at Hometown Flea Market here in town. At the store we found a NASCAR Ultimate Speedway Track Set, for about $5. With Charles a huge NASCAR fan the track set was a huge deal despite missing one car. Putting the track together was a big problem and the connectors won’t snap together and breaks easily. 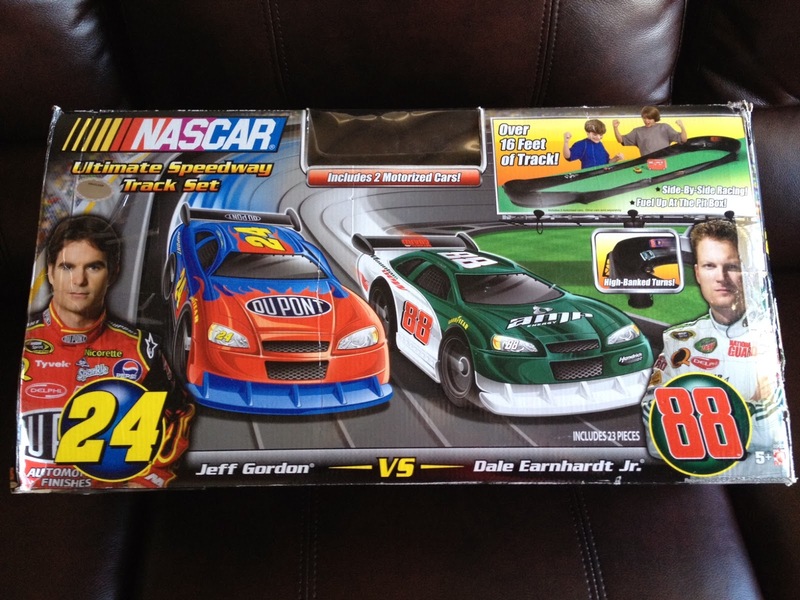 So when my hubby told me he was planning to buy NASCAR Ultimate Speedway Track Set for Charles for Christmas I was delighted he got the cheaper one instead of a new one. The track set isn’t worth the money though it looks pretty cool. My son, Charles really had a great time when the track was put together but now it ended up in the box. And with NASCAR season just began I know how important it is to have your little race fans have their own track so they can do their own races. But buying this kind of track is not the one that you need to have. There are great tracks that you can buy and Hot Wheels tracks are great ones to look at. Well, it has been a couple of days now since my hubby ordered our NASCAR Sprint Cups tickets and it has not yet arrived in our mailbox. Hopefully within the next few days it will show up in the mail as I don’t want to think the money will end up with nothing. Watching NASCAR Sprint Cup races at the speedway is fun and exciting.